The 2019 Honda Pilot SUV towing capacity starts at 3,500 pounds, but that’s just the beginning. If you’ve got to tow heavy loads around Arlington, the Pilot AWD towing capacity maxes out at 5,000 pounds. With its 280-hp V6 and seating for up to 8 passengers, there isn’t much the Honda Pilot can’t do. Hill Start Assist: The pilot can detect when it’s on a hill and hold the brake even as you let your foot off the brake. The result: a Pilot that stays put until your foot hits the gas pedal. Intelligent Variable Torque Management AWD: Drivers maxing out towing will want all-wheel drive, but it also helps with traction to keep you in control when towing. Multi-Angle Rearview Camera: You might think this is to stop from backing over the kids’ bikes or to safely back out of a parking spot — and it is — but the camera can also help you quickly and easily line up to your trailer or camper. 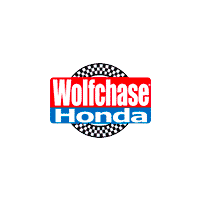 Explore the New Honda Pilot at Wolfchase Honda in Bartlett! The 2019 Honda Pilot’s towing capacity and all-around utility give it an advantage over typical crossovers like the Toyota Highlander. Of course, you shouldn’t take our word for that — you can get behind the wheel of a new Honda Pilot today at Wolfchase Honda. Contact us today to see the eight-passenger SUV in person. After you’ve seen its spacious cabin firsthand, we can talk features and go over the 5 Pilot trim levels you can choose from. 0 comment(s) so far on How Much Can a Honda Pilot Tow?